We dedicated tea drinkers of the world know just how spoilt coffee lovers are. They have coffee machines, coffee filters, coffee plungers, coffee grinders…and all we get is a lousy teabag! Luckily, Bodum have ended such unforgivable neglect by creating this beautiful Assam Tea Press for us to enjoy. 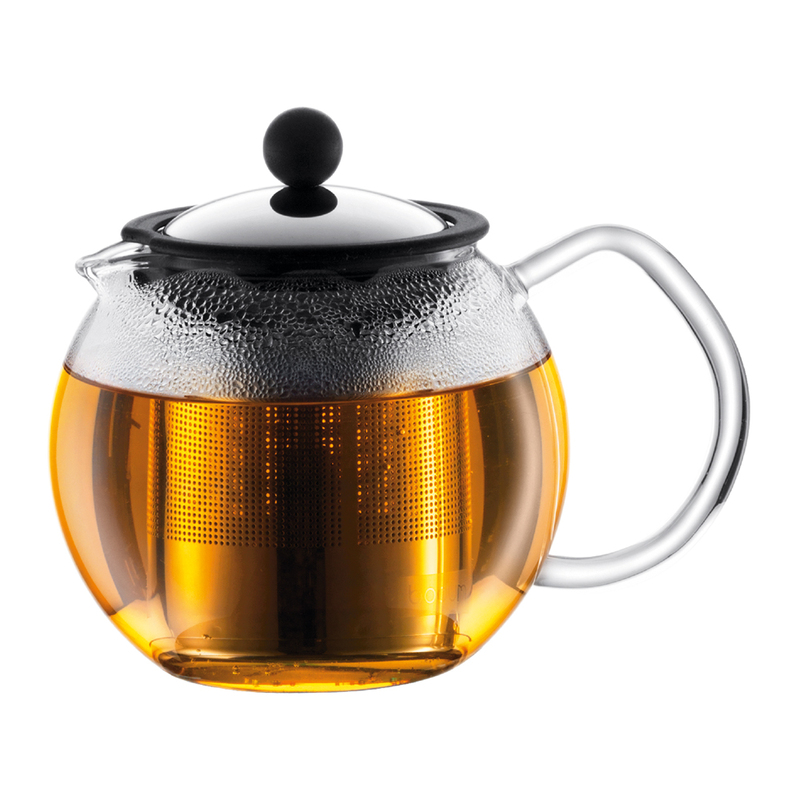 Just place your favourite loose leaf tea in the base of the filter and pour in boiling water. Once it’s reached the strength you prefer, press down the plunger. Your tea leaves will be sealed in the base of the column, preventing them making your tea stronger or more bitter, which means you can take your time enjoying your tea! Next time the coffee lover in your life whips out their plunger and sits down for a short black, match them pot for pot with Bodum’s Assam Tea Press. Now everybody’s happy! Made from heat-resistant borosilicate glass. Lid and filter made from stainless steel, with rubber rim. Patented press system completely stops the brewing process. Perfect for black, green, white and even herbal teas.